Victoria has been singing with a guitar from the age of fifteen. Her original songs range in genres. Victoria hit the Cleveland folk scene in 1974. Bob Gibson said of her, “she sounds like herself and writes great songs, don’t compare her to Joni Mitchell or Joan Baez. Don’t change anything.” Victoria has had more than forty years since writing her own brand of song. Victoria is an honoree in the 2005 Great American Song Contest; 15th Annual Mid Atlantic Contest Category Winner (humorous); 2002 Florida Folk Festival Song Contest performer; Napa Valley Folk Festival song contest winner. She has released three albums Sure Feels Like Home (1995), Wild English Rose (2003), and Duhmocracy (2007). 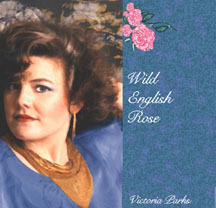 Wild English Rose landed #35 in the 2003 FolkDJ top 200 folk albums of 2003. Her songs are unique, beautiful and funny. She tries not to make you cry but, be forewarned, she may. Her 2007 release, Duhmocracy, will certainly make people laugh. It was nominated “best political album” at the 2009 Just Plain Folks Awards, while her song Blame the Cows garnered a “best political song” nomination. Sometimes VIctoria writes a pop song too. 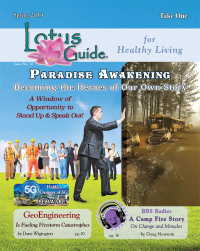 She draws her song material from simple emotion, life experience, or crazy news. You just never know what she’ll conjure up under that wildly curly head of hair. It could be a wildly beautiful ballad or just plain hilarious.